"My husband and I met Trece when when we bought her home in..."
"Trece, thank you so much for everything you shared with all..."
"Mrs. Greene was an amazing soul who made the Art School so..."
"I have fond memories of Mrs. Greene, she was a fantastic..."
"What a wonderful teacher and mentor this woman was. She..."
Trecia "Trece" Roberts Greene, born on January 9, 1937, in Marietta, Georgia, passed from natural causes on Saturday, March 12, in Vancouver, Washington. Trecia grew up in Monticello, Kentucky, and graduated from Centre College in 1959, going on to obtain her Master's in Education from Vanderbilt University in 1961. Although always faithful to her Kentucky Bluegrass roots, she moved west in the early sixties and became a permanent and proud resident of the Pacific Northwest. 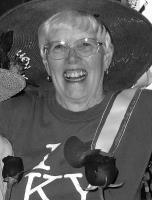 Beloved by many students, she dedicated her professional life as a public school educator teaching English in the Vancouver School District for over 25 years at Columbia River and Hudson's Bay High Schools. The last portion of her teaching career was spent on the planning committee for and as an inaugural staff member of the Vancouver School of Arts and Academics. 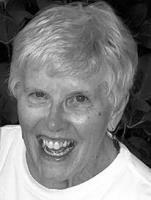 She was also a writer, self-publishing four books in the latter part of her life and writing for the Chinook Observer in Long Beach, Washington, where she was also a dedicated Camp Victory volunteer for over a decade. Though her final years were marked by unforeseen challenges, Trece's invincible sense of humor and love of laughter, her compassion, and indomitable spirit inspired countless people and shone through right to the very end. She is survived by her son, Sam Greene (Kelly) of Vancouver, Washington; daughter, Kate Greene Murphy (Robert) of Hillsdale, New Jersey; grandchildren, Jane, Gabe, Joe, and Maren; and long-time partner, Pat Reiter of Vancouver. A Memorial Service and Life Celebration will be held at the Brickstone Ballroom, 105 W. Evergreen Blvd., Vancouver, WA, 98660, Sat., March 26th, 2:00 - 4:00 p.m. Donations may be made to Camp Victory of Ocean Park, WA at http://campvictoryforchildren.org/donate.html. Flowers may be sent to the Brickstone Ballroom after 12p.m. on the day of the Memorial. Please sign Trecia's Guest Book at www.columbian.com/obits.